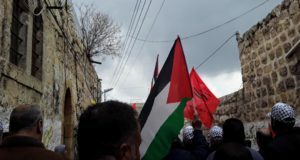 On Saturday, January 25th at around 2:30 p.m., when a group of around 30 settlers were passing by Checkpoint 56 on Al-Shuhada Street in Hebron, two 13-year-old boys were attacked by five settlers. One of the boys, his father and a photographer were taken to the police station where they were interrogated for three hours by the police before being released. Yazan Al-Sharabate, the boy who was arrested, left from his home on Al-Shuhada Street at 2:30 p.m. in the direction of Checkpoint 56. 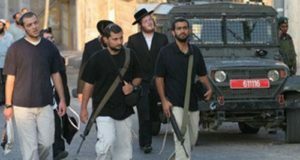 On his way, five settlers between the ages of 15 and 24 were harassing him. 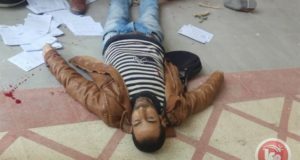 The five settlers caught up with Yazan and began to beat him. Yazan’s friend who was passing by was also assaulted when he tried to intervene to end the attack. Yazan’s father arrived and stopped the assault, but when a group of Israeli soldiers arrived they pushed Yazan to the ground and handcuffed him while the settlers ran away. 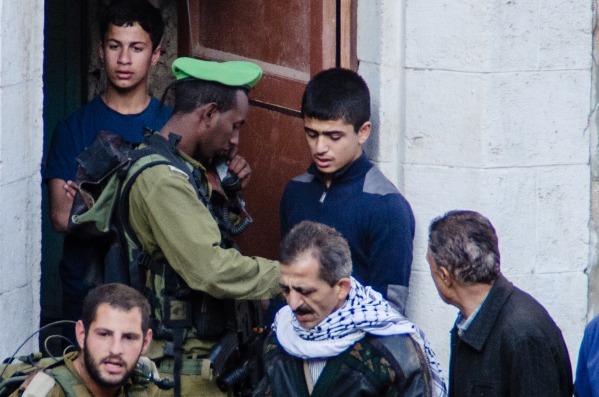 The Israeli police arrived and took the 13-year-old boy and his father to the police station. A Palestinian photographer, who had filmed some of the event, was also taken to the police station. 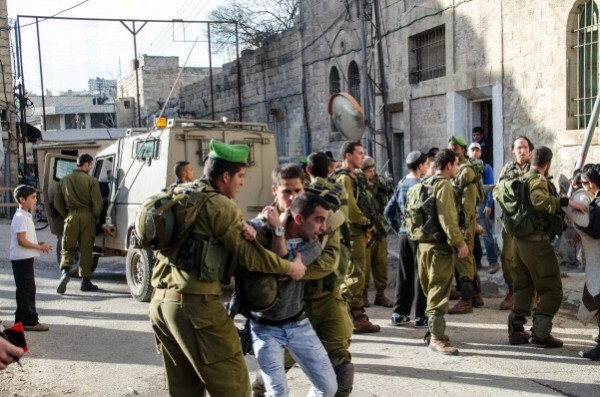 At the police station the child was interrogated for more than an hour without the presence of his father before being released at 7:30 p.m.
Al-Shuhada street was previously the main market street of the Palestinian city of Hebron. In 1994, access was banned for Palestinian cars, and the restrictions continued to increase until the year 2000 when Palestinians were denied access to the street altogether. Only a few Palestinian families remain near the entrance to the street, settler attacks and harassment are not uncommon for those still living in this area, due to its close proximity to the illegal settlement of Beit Hadassah and the apartheid nature of this road.